Our prices are accurate and affordable. locksmith trade and has no criminal background. We can provide proof of this at your request and are happy to do so. Your security is important to us. You can count on us. 24 hour locksmith and 24 hour safetech. No trip charge to perform additional work. We install, repair, replace and fabricate all types of locks. We schedule according to your needs and stay on schedule. The technician who arrives will be competent, clean and polite. We work in the security industry so trust and safety are very important to us and our customers. We worked hard to earn our professional accreditations because we believe in the highest standards of safety, skill and integrity. Harold Fink is a member of the Associated Locksmiths of America and the Safe and Vault Technician's Association. Harold Fink is a Certified Registered Locksmith and Certified Professional Safetech. Mr. Fink has also received the President's Award from the Maryland Locksmith Association for his dedication to the education of the members of MLA. Mr. Fink served as webmaster for the MLA from 1995 through 1997 and encourages all legitimate locksmiths to support Maryland HB 370, which would require licensing of locksmiths in Maryland. Read this article » Given that we are all keen to safeguard our possessions, it's no wonder locksmiths have always been in demand. 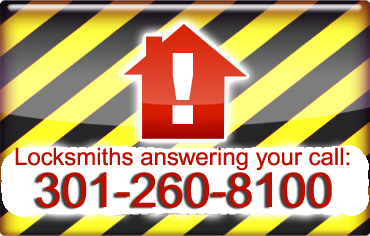 Find out what a locksmith does. Read this article » Locks have been around since man first decided to keep his belongings to himself, around 4,000 years, according to evidence found in ruins of an ancient Egyptian palace.